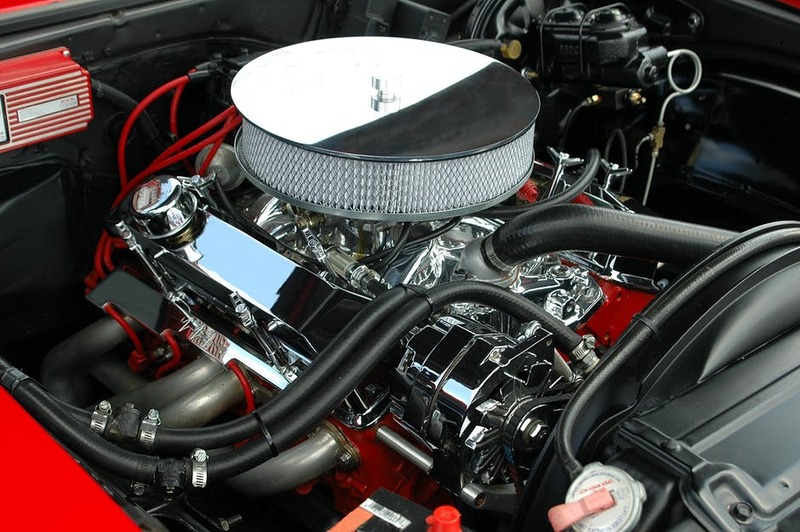 The vibrations of the car engine could result from a number of problems. Although it is assumed that the vibrations come from the engine, the axles could actually be the real cause. If you drive a used car, the problem is probably more common and it's time to find out more about its common causes and find solutions. Here we discuss in detail 5 causes of motor vibration. Read them carefully to see if you have any of the symptoms that cause the car's engine vibration. If you feel an engine shake, the crankshaft damper may be a factor to consider when diagnosing the causes of engine vibration. Indeed, the main responsibility of this component is to reduce vibration. In diesel engines its use is more widespread. If there is a chance that it is faulty or stopped working forever, your engine will tremble even more. You must contact the mechanic when faced with this problem. This is another cause of engine vibration. This component keeps the engine on the chassis. In addition, it also reduces the vibration of a running engine. This part is not just damaged. The reason for this may be reckless driving. Similarly, you should see a mechanic to fix the car. If there is a problem with the spark plugs of your car, the engine will vibrate more than usual. Removing the spark plugs can be done at home if you have all the tools and knowledge to complete the task. In frosty weather, the engine vibrates more than usual. No additional measures need to be taken if this problem is solved by itself when the vehicle is moving in normal weather. In cold weather, the engine cannot work at its optimal level, so the vibration increases. Often, it seems that the problem of the moving engine is rooted in the engine itself, when in reality, it is the axles that must be taken care of. When your car collides, the axles can be damaged, even in the absence of any apparent sign of damage. So you should call a mechanic if you notice an increase in vibration just after a collision. Here are some of the most common engine vibration problems that could plague your driving experience. It is best to look for one of these 5 causes of car engine vibration and determine the exact cause. To solve any problem, you need to find its source, and the same with the cylinder pass. The easiest way for drivers is to check diagnostic trouble codes. A check can help you determine if your cylinders have one, few or no misfire. An OBD-II scanner is a useful tool for this task that can be sold at any auto parts store. No matter how easy it sounds, this first step will save you a lot of time and effort, rather than chasing a dead-end solution. Best of all, if you find that your cylinders have no problems. However, if they did have misfire, the reasons usually come from one of four systems: control sensors, fuel supply, air supply, or a computer. Drivers can check the amount of air, fuel or ignition failure. Understanding the problem from the very beginning can be very useful at this stage, since various problems are solved differently: if you get misfire in one cylinder, this is often caused by engine failure. However, random multiple misfires from a cylinder can usually be caused by external sources, and not by the engine itself. And last but not least, mechanical failure and unbalanced rotating assembly do not cause the misfire code. If you Understand the state of your favorite car, it's time to remove the damaged parts. New drivers are advised to go to Auto care centres, but if you can take care of the situation, fine.